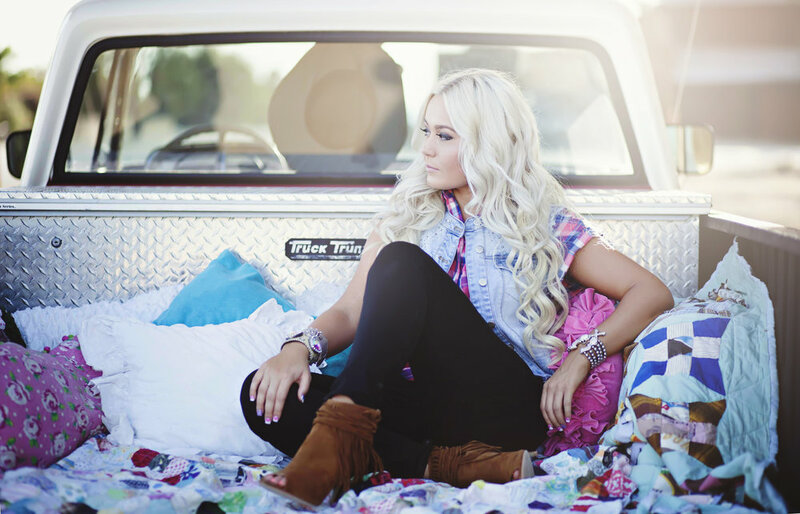 Aspiring twenty-five year old country music artist Whitney Wattenbarger was born and raised in Bakersfield, California. She truly discovered her passion for singing and the art of music at the age of 10 when she sang “Amazing Grace" for one of her friends who immediately recognized her gift for singing. From there she knew music would be her life. She signed up for choir and got her first solo at the age of 12. When she was 17 years old Whitney was chosen to sing the national anthem for all of her high school’s events. The same year she auditioned to sing at the Buck Owen’s Crystal Palace and was selected to perform with the Stampede Band, the House Band at the Crystal Palace. By the age of 19 Whitney knew she was ready to seriously pursue a career in the music industry. With her family’s support she enlisted a vocal coach to fully concentrate on her singing which is when she saw her career take form. Since then, Whitney has booked a number of high profile events including performances with Bryan White, Mark Wills, Pam Tillis and most recently opening for Darius Rucker. Whitney has performed at the CMA Festival every year in Nashville since 2012, country music’s most popular festival. Her debut album, “Just Getting Started” was released after a full year of hard work and dedication in 2013 Whitney Wattenbarger’s debut album is captivating with upbeat tracks such as, “Boyfriend Stealer” that empowers women, to the very soft and sweet song, “Honey” that captures the blissful feelings of falling in love. The track “Just Getting Started” is the name of Whitney’s first album and really describes the beginning of her journey in the country music industry. Following her debut album, she released her Christmas album “Could It Be Christmas” in 2016 after moving to Nashville, Tennessee to chase her dreams. Her Christmas album includes 4 Christmas originals and her signature song “Could It Be Christmas” which she wrote. Both albums can be found on Itunes and Spotify. Whitney is currently working on her 3rd album which is set to be complete by Summer of 2018 followed by a new music video soon to be released on CMT. When she is not working on her album, you can most likely find her singing or working on her craft in a write. Aside from music, Whitney loves all things fashion, and exploring more of Tennessee. Since moving to Nashville she has really been inspired to start her Blog “California meets Tennessee". The idea came about to show her family, friends, and fans what it is like to explore music city. The blog talks about fashion, music, best spots to eat and hangout in the growing city. Also on her blog you will find her love life, a California girl meets a Tennessee boy which is another inspiration to the blog. Whitney hopes that you enjoy following her on her journey where California Meets Tennessee. Whitney with her family and friends talk about life growing up, her break into the music industry, the creation of her album, and the creation of her music video for "Honey". Shot by, edited by, and directed by Luis Gonzalez Jr. Find my album "Just Getting Started" on iTunes and download now! Going to be workin in the studio soon! !